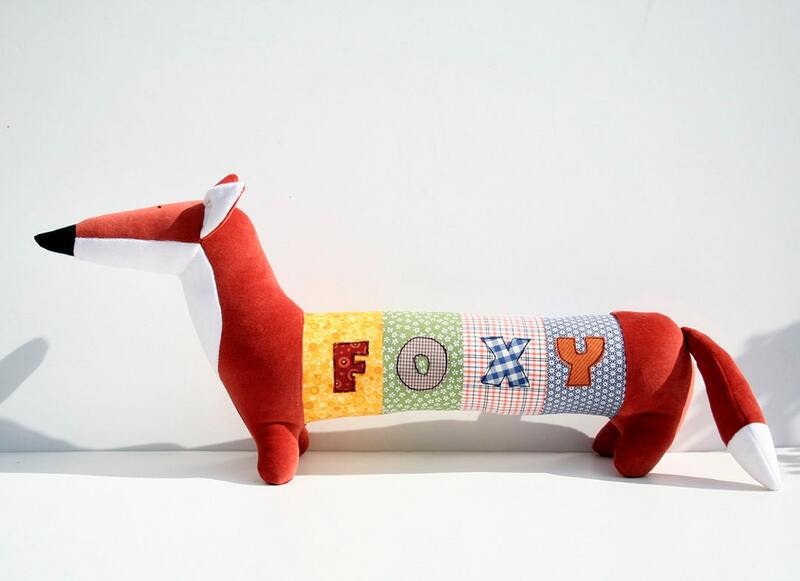 This cute long Fox can be customized with your name or any other short text. 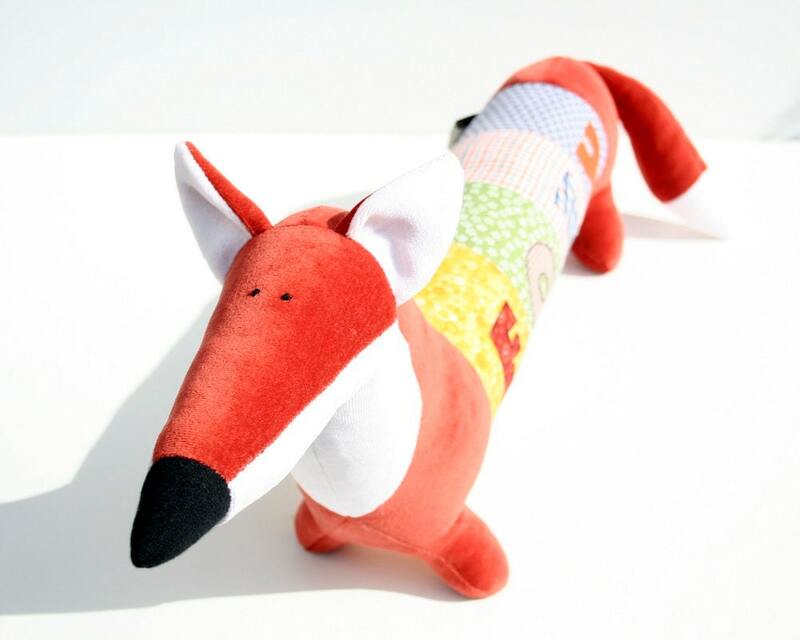 The Fox is a perfect fellow, decoration to the nursery, or he can sit in your car's rear window instead of a bobble fox. The foxy's head and bum is made of soft plush. The middle section of the body is made of some colorful canvases. I always try to keep the colors in harmony. If you would like to have a special color scheme then please convo me! I can make the body as long as it needed - I make a section for each letter of your name. 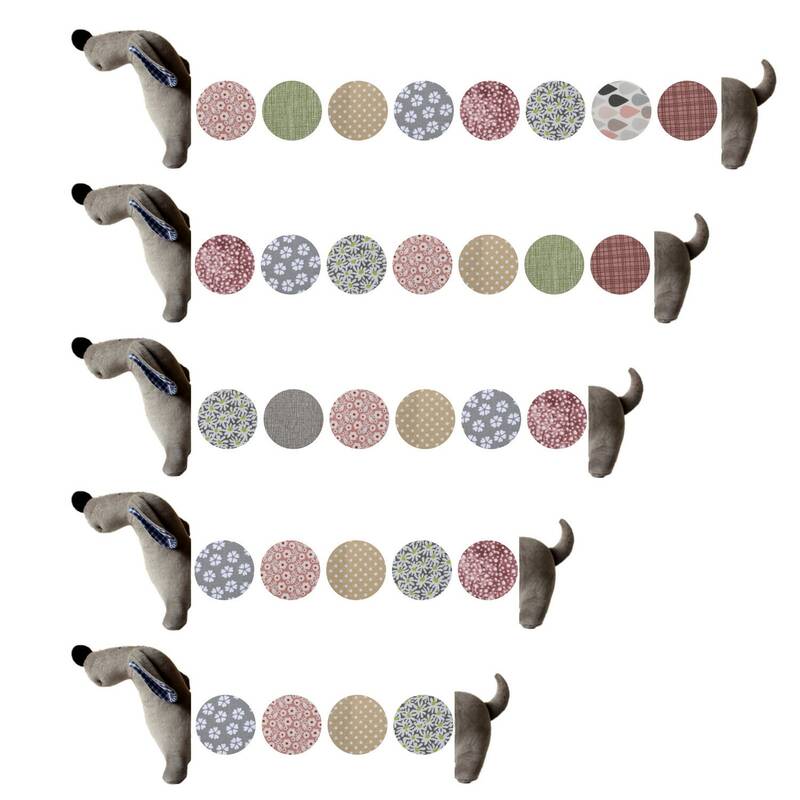 Each section is 7 cm (2 3/4 inches) wide. The actual Fox (FOXY) is 66 cm (26 inches) long and 25 cm (10 inches) tall. 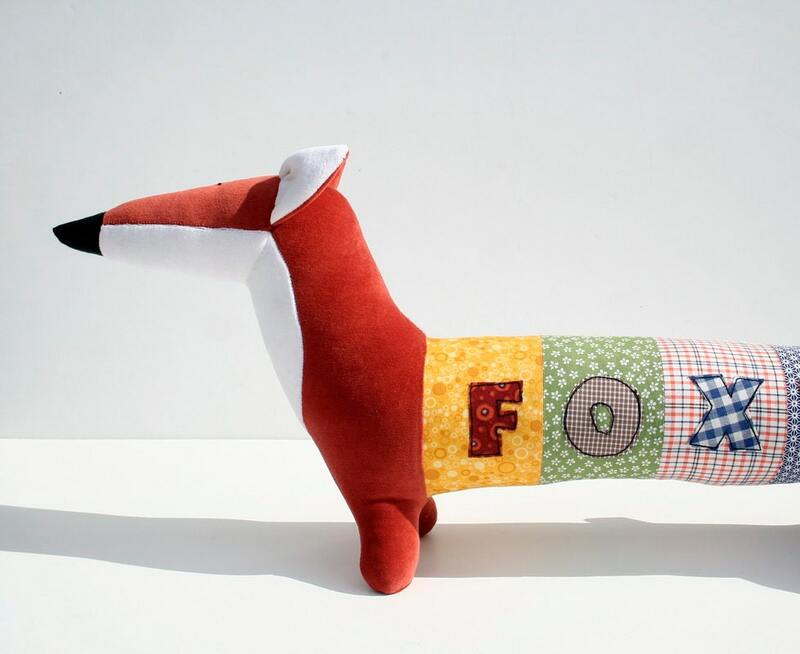 The price of the Fox would depend on the lenght (the number of the letters on his body) The basic price is for 4 letters (66 cm - 26" long fox). The maximum lenght is 10 letters (however it would be more than 1 meter!). 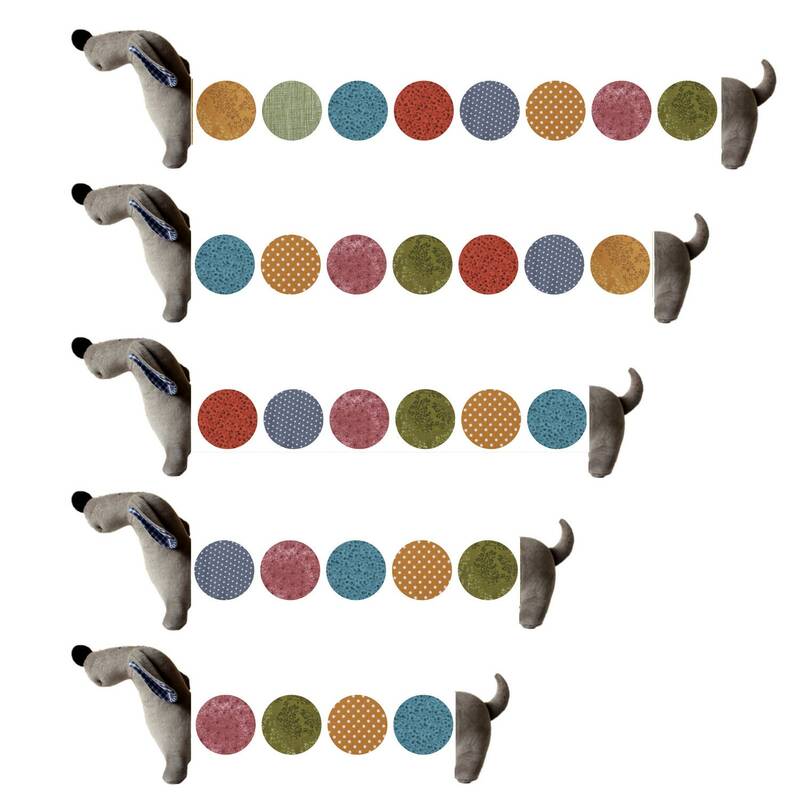 If you would like to order your own fox then please write the requested name to the remark field of your order. If you have any further questions, please send me a convo! If you would like to have a fox with some particular colors of canvases, please send me a convo as well! Somehow this guy is even cuter in person than in photos. A wonderful seller, too – lovely to work with, cery helpful, and well within estimated working and shipping times. As always, been delivered a perfect item fm Andreavida. Thank you so much! This is the second time I've purchased a personalized animal from andreavida and both were beautiful. 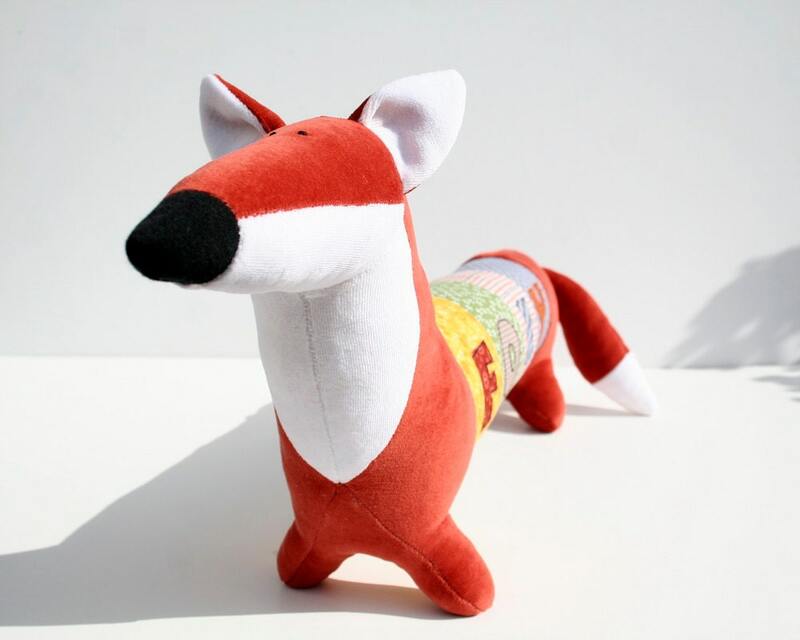 I ordered the weenie dog for my son 2 years ago and this fox for the baby I'm expecting in 2 weeks. It is so colorful and sweet, well-made and beautiful (I can't say that enough). It is durable, too...my son sleeps with his dog every night.